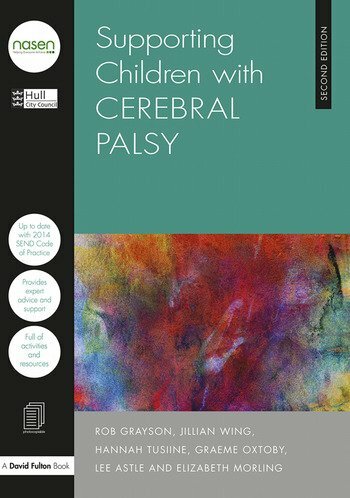 Completely revised and fully updated in light of the 2014 SEND Code of Practice, this edition familiarises readers with the specific learning needs of cerebral palsy. Offering practical tips and tried-and-tested strategies from professional practitioners, this accessible guide provides advice on how to meet the needs of young people with cerebral palsy. This new edition presents all of the information practitioners will need to know to deliver outstanding provision for young people with cerebral palsy and support the inclusion of children and young people with cerebral palsy into mainstream schools. With accessible materials, such as checklists, templates and photocopiable resources, this up-to-date guide will enable teachers and other professionals to feel more confident and effective in the support they can provide. Rob Grayson – Team Leader for the Integrated Physical and Sensory Services, Hull City Council, UK. Jillian Wing – Senior Support Teacher for the Integrated Physical and Sensory Services, Hull City Council, UK. Hannah Tusiine – Senior Support Teacher for the Integrated Physical and Sensory Services, Hull City Council, UK. Graeme Oxtoby – Senior Moving and Handling Adviser, Hull City Council, UK. Elizabeth Morling – Series Editor, SEN Consultant and former Head of the Education Service for Physical Disability, Hull City Council, UK.